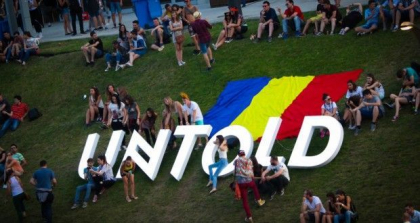 Untold Festival in Cluj-Napoca was awarded the best festival in Europe on Wednesday at the European Festival Awards gala. It’s for the first time that a festival from Romania is winning this title, defeating famous festivals from Germany, Belgium or the Netherlands. A jury consisting of experts in the music industry gave the final vote, but Untold festival was shortlisted following the vote of over 800,000 persons in 50 countries. The first edition of the festival held in Cluj-Napoca gathered 240,000 people, while for the 2016 edition, more than 26,000 passes have been already put up for sale. The second of the 5 headliners that will tread the booards this year is to be announced soon, after the first high-sounding name has been unveiled: DJ Tiesto. Untold festival was also nominated for the best festival starter, next to other events hosted by Cluj: Electric Castle and Jazz in the Park. On the other hand, TVR Romanian state television reported the venue of the 2016 edition of the festival is not settled yet. Representatives of Cluj Arena informed they would not host the event anymore unless they recovered those 11,000 euros representing utilities and rent from the first edition. Cluj Arena accuses the festival organizers they haven’t paid their debts, while in retort the organizers claim they have no debts.